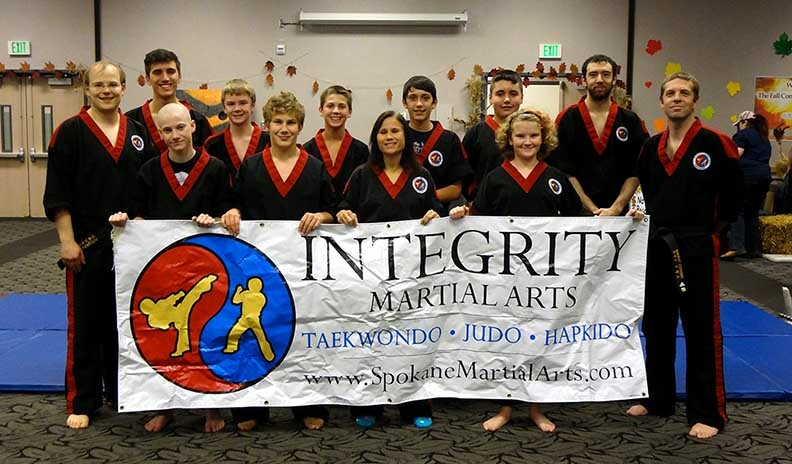 The Integrity Martial Arts Demonstration Team performs for schools, churches, sporting events, and other events in the Spokane area. 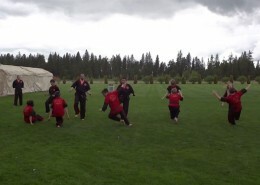 Our demos are fast-paced and feature a combination of flashy and self-defense techniques. 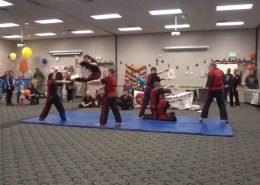 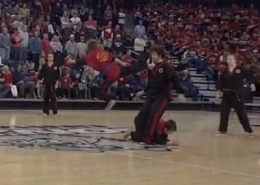 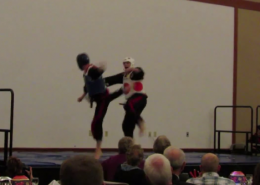 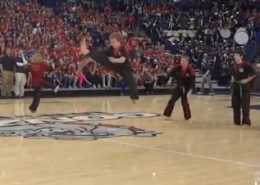 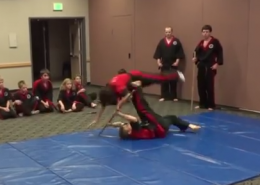 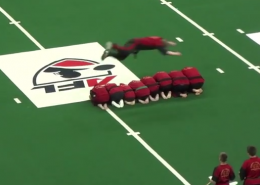 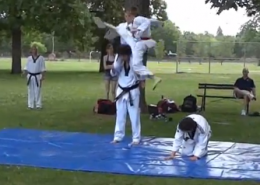 The demonstrations include board breaks, dives, throws, kicks, and self-defense scenarios. 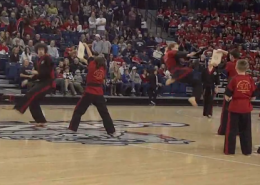 Performances usually last around 15 minutes, but can last from 5 to 40 minutes long, depending on your event. 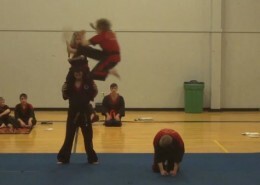 We do not charge for demonstrations. 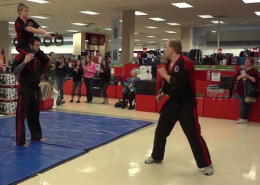 Check out our martial arts demonstrations below, or contact us for more details. 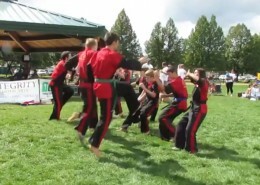 If you would like to book our martial arts demonstration team for a performance, please call us at 509.979.9174 or send us an e-mail at integrityma@hotmail.com. 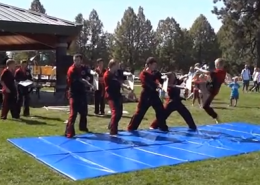 We would be happy to perform for you.